In my travels, I come across all types of people, Pirates, artists, musicians and so on. I wanted to feature a friend, coworker, and fellow Pirate. His name is Jose Menendez. Jose is one hell of an amazing artist. From paper to skin, this man has talent. So I figured I give you scurvy dogs a little inside info all this around all around artist. Jose has been only tattooing professionally for 3 years but is climbing the ladder fast with his skill level. He has always been interested in many different forms of artwork in his life. Leaning towards early 1900's imagery, his art style is one of neo-traditional. With subject matter from pirates, steampunk, even animals with human-like personality, Jose is becoming a master of his craft. He loves the old craftsmanship style of living -the idea of having an old trade. 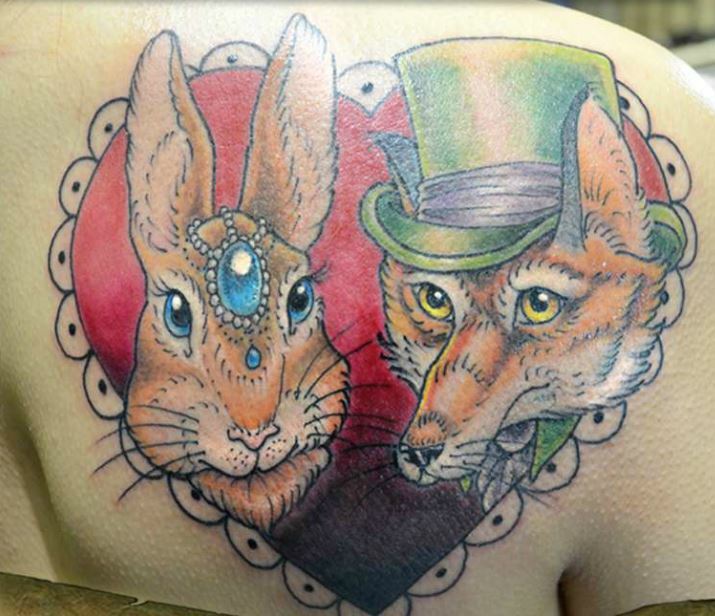 Tattooing and painting fulfill this need for him and definitely shows in his tattooing. the entertainment community such as TV and film. Being a pirate has also landed him in his career at present. 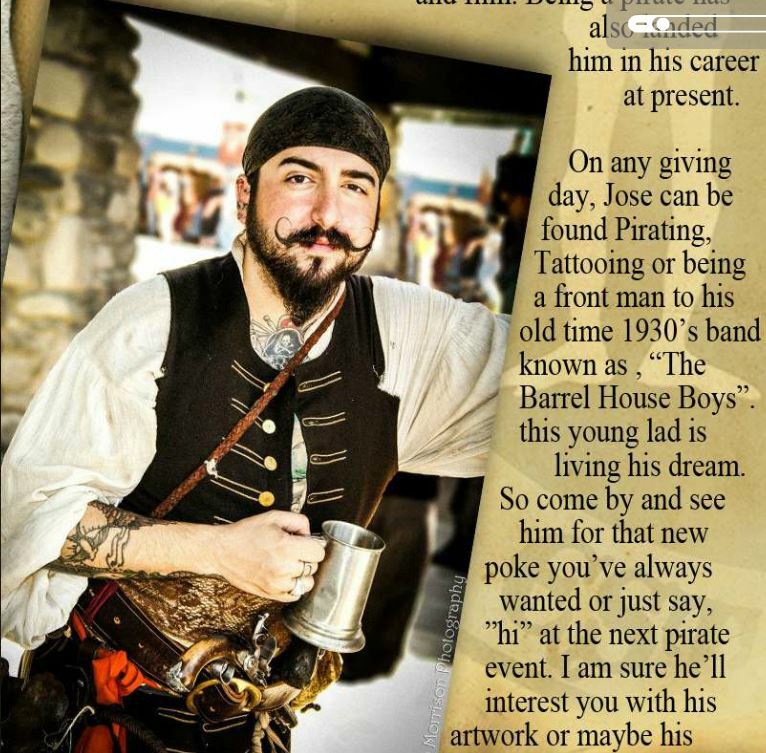 On an any given day, Jose can be found pirating, tattooing, or being a front man to his old time 1930's band known as, "The Barrel House Boys." This young lad is living his dream. So come by and see him for that new poke that you've always wanted or just say hi at the next pirate events. I am sure he'll interest you with his artwork or maybe his brilliant personality.